The SiteW team presents you its newest templates: the first one is Animal-related and the second one is related to Arts and Crafts. Our website design templates are adapted to your business and provide you with a starting point to easily build your own website. 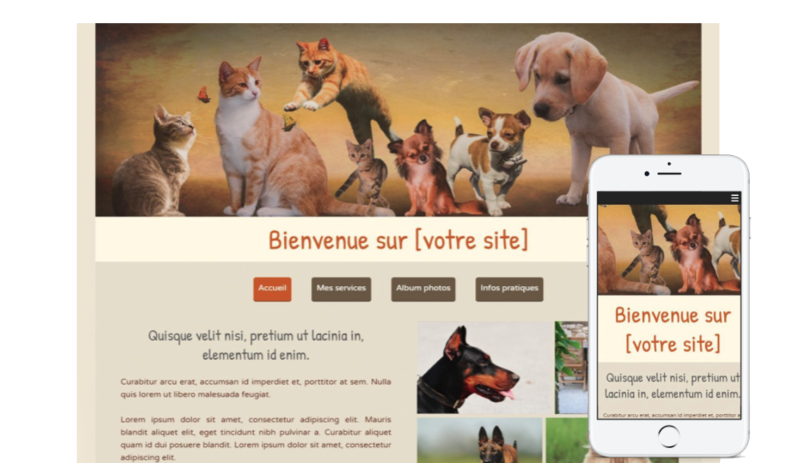 Whether you are a cat breeder, a dog instructor, a professional groomer, a pet sitter, a dog walker or simply an animal lover, you will find what you need with our template for animal websites. Whether you want to create an informative web page about our four-legged friends, a website for your animal-related business, or even an online store for pets, you will be able to use our predefined template and to customize it, using our web design tools. Add your images, your galleries and your videos to introduce your furry friends. You will also have the possibility to add a forum, a guestbook or even an online store, according to your needs. To see pet websites created on SiteW, go to Featured-Websites>Animals. 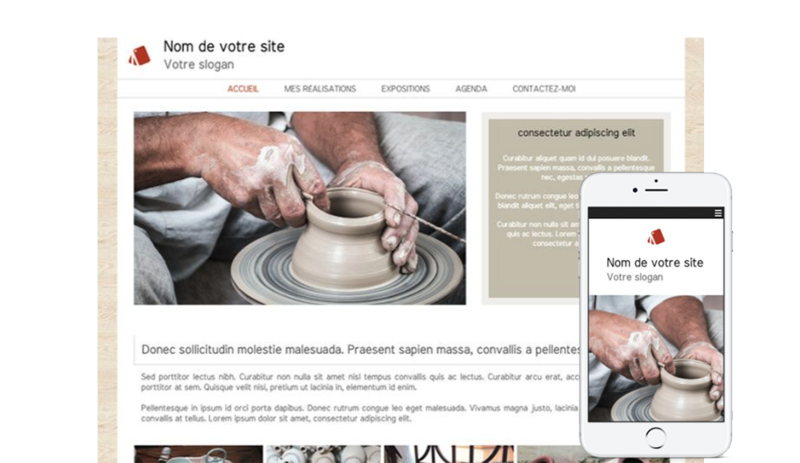 Sculptors, painters, plastic-artists, but also potters, ceramicists, glassblowers, blacksmiths, glass artists, jewellers, cabinet makers, costume designers…, our arts and crafts website template has been developed for you. Whether you want to create a complete online store, an online catalogue to show your art or a showcase website to present your work, our flexible packages will allow you to create a website that fits your needs. You will have the possibility, in only a few clicks, to insert text, videos and photos, but also a calendar of exhibitions for example, or even an online quote request form. To see art websites created on SiteW, go to Featured-Websites>Artist. Artists, craftsmen and animal lovers can use our dedicated templates to inspire themselves and create a website that fit their requirements. Also keep in mind that all our predefined templates are fully customizable: every element can be modified and changed, in the easiest way, only using your mouse. So you can use all our free templates, and thus enjoy even more website creation possibilities. How To Customize The SiteW Templates In 4 Simple Steps?